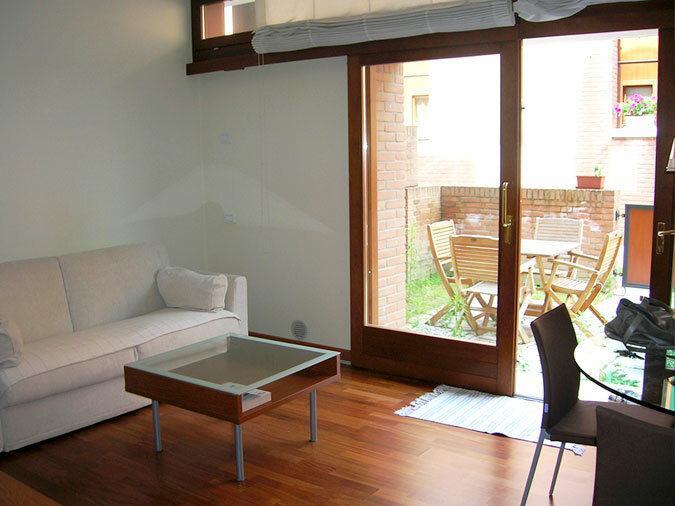 The La Corte apartment listed here is a great Holiday Apartment for short-stay rentals in Venice. It’s a 50 sq.m apartment on the ground floor with garden/terrace, to fit 2 + 2 people. It’s a three minute walk to Accademia with the fantastic collection of Renaissance art. The entrance of the apartment is directly on the exclusive courtyard furnished with a table for 4 people. Bright and functional, the apartment is composed by a living room, in which is situated a double sofa-bed, with a modern kitchenette (4 gas hobs, oven, a large fridge, washing machine); one double bedroom; a bath with bathtub and washing machine.Independent heating.